The European Commission’s proposal for a European Energy Union is just the latest development in the long history of EU energy policy, writes Francesca Batzella. She suggests that the aims and substance of the Energy Union are broadly a continuation of previous initiatives, and that its greatest innovation may well be its new framing and presentation. The European Energy Union is now one of the most popular energy-related topics within and outside academia. The original proposal, issued by the European Commission in February 2015, is now well-known and the first-ever Communication on the State of the Energy Union was released on 18 November 2015. The Energy Union can be best described as an overarching framework designed to achieve more secure, affordable and sustainable energy. Following from these publications, we can reflect on what is new and what is less so in the Energy Union. We can also consider the state of the art and what we might expect from this framework. Many elements of the Energy Union are far from new. First, most of the keywords in the Commission’s proposal have been carried over from previous communications. These keywords include: secure, competitive and affordable energy, speaking with one voice, solidarity and trust, sustainable, low carbon and climate-friendly economy. Previous texts, such as the Commission Communication on the Security of Energy Supply and International Cooperation and, even before that, the Commission Strategy for Competitive, Sustainable and Secure Energy, reflect the same terminology. This repetition of keywords suggests that the aims of the Energy Union are by no means original. On the contrary, the Energy Union seems to be a new name for an old aim: the completion of the internal energy market. The proposal is articulated around five dimensions – energy security, energy market, energy efficiency, climate action, and research and innovation. However, the completion of the internal energy market seems to be most important objective, with all the other dimensions being somewhat instrumental to it. The reasons for such a situation are not a mystery. The creation of an integrated and liberalised market for gas and electricity has been an aim of the EU since it came into existence. Although a legal basis for energy was only added in the Lisbon Treaty, energy was included in the single market project in the early 1990s. Since then, three energy packages have been issued with the intention of liberalising the market for energy. It does not come as a surprise then that the Energy Union aims to push forward the completion of the internal energy market. Another recurring feature is the Commission’s entrepreneurship and activism. This comes through in the proposal, and it was also evident in the press conference on the state of the Energy Union on 18 November. The Commission seems determined to achieve ambitious targets on some of what Member States have already expressed their disagreement. A good example of the Commission’s initiative is its proposals on Intergovernmental Agreements, which it wants to achieve by amending the EU decision reached between the Council of the EU and the European Parliament in 2012. If we look at the implementation of the third and latest energy package, the results are not encouraging. It is for this reason that the communication on the Energy Union states that ‘the Commission will use all instruments to ensure that the Member States fully implement energy legislation, in particular the third internal energy market package, and it will strictly enforce the Treaty’s competition rules’. What is new under the sun then? Perhaps the most innovative development has been the leadership of Vice President for the Energy Union Maroš Šefčovič and the synergies between him, Commission President Jean-Claude Juncker and Energy Commissioner Miguel Arias Cañete. Since he took up the role of Vice President, Šefčovič has been become a vocal spokesperson for the Energy Union, working hard to promote the project. He embarked on an ‘energy tour’ across all the Member States, constantly blogging and tweeting about his work. This element, coupled with the convergence of high-level interests, is possibly the novelty in the Energy Union. The real game, however, has yet to start and this will be played at the level of policymaking. 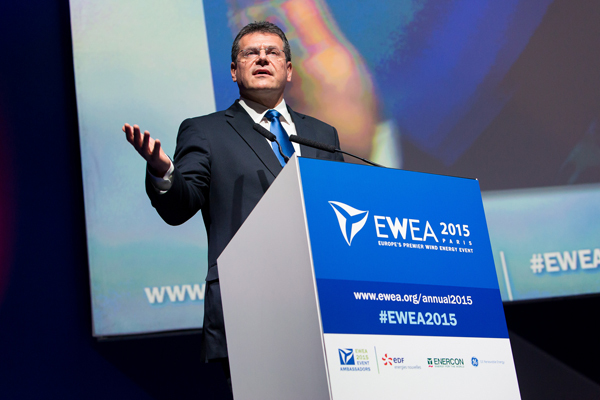 According to Šefčovič, 2016 will be the ‘Energy Union’s year of delivery’. Indeed, the Energy Union framework now needs to be translated into concrete legislative proposals. These will then need to be approved by both the Council and the Parliament in the co-decision procedure. It is reasonable to expect that this process will reawaken some of the longstanding tensions between the Commission and the Member States, such as the implementation of EU legislation on energy and the Intergovernmental Agreements. Despite the fact that very little seems new under the sun so far, the Energy Union is still in its infancy – and the most interesting part of the story is still to come. Dr Francesca Batzella is Academic Tutor at the University of Edinburgh, from where she recently obtained her PhD. Her research interests include EU energy policy, EU external relations and European studies more broadly.